7 3/4" high with a 2 3/4" dia. Whether you like ‘em hot or cold, this insulated Copper 30 Oz. Travel Tumbler keeps your beverages at the right temperature ALL DAY! 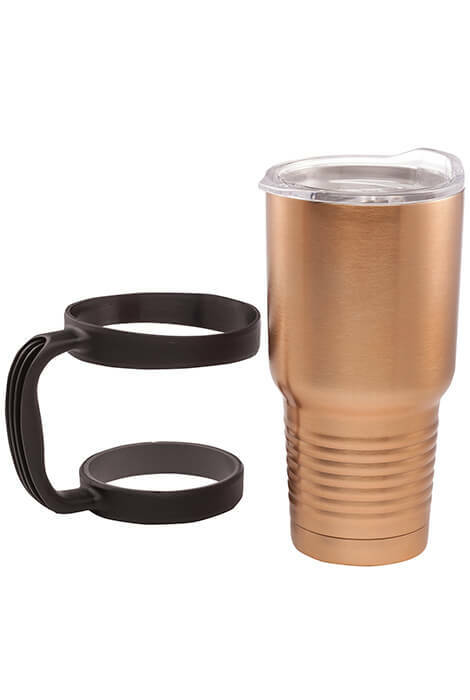 Made of sweat-proof, double-wall stainless steel with a copper finish, this jumbo travel mug holds up to 30 oz. yet its narrow bottom fits most standard cup holders. Durable plastic lid is leak-resistant and the comfort-grip handle is removable for easy cleaning. 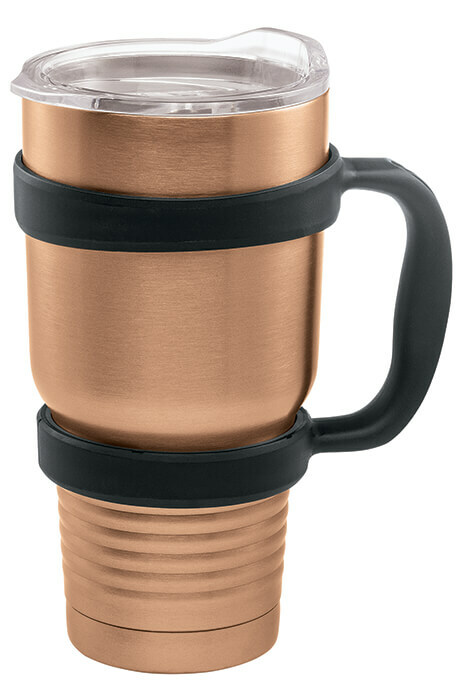 The copper travel mug is dishwasher safe and BPA-free. Makes a great gift! 7 3/4" high with a 2 3/4" dia. bottom.